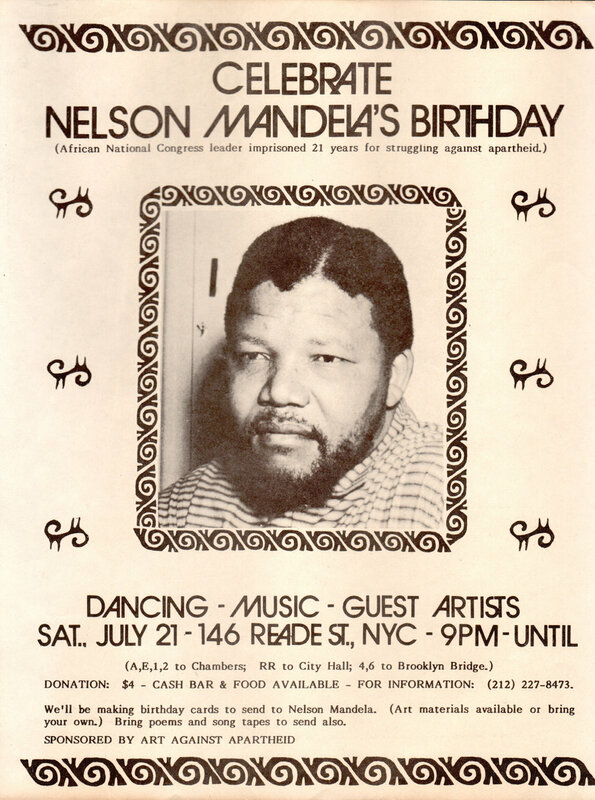 Poster inviting people to attend a celebration of Nelson Mandela's birthday on July 21, 1984. 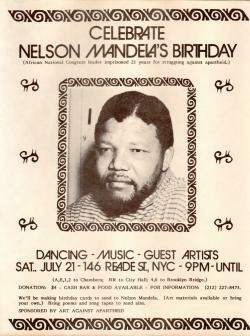 The poster says Mandela is an African National Congress (ANC) leader imprisoned for 21 years for struggling against apartheid. Size: 11 x 8.5 inches.